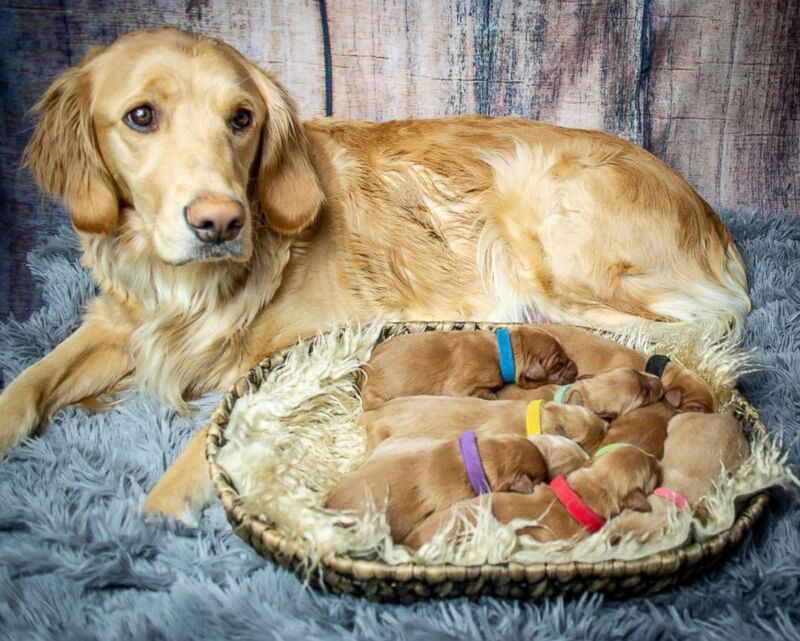 A dog from Montana just became a proud mama after giving birth to nine adorable mini-Goldens. 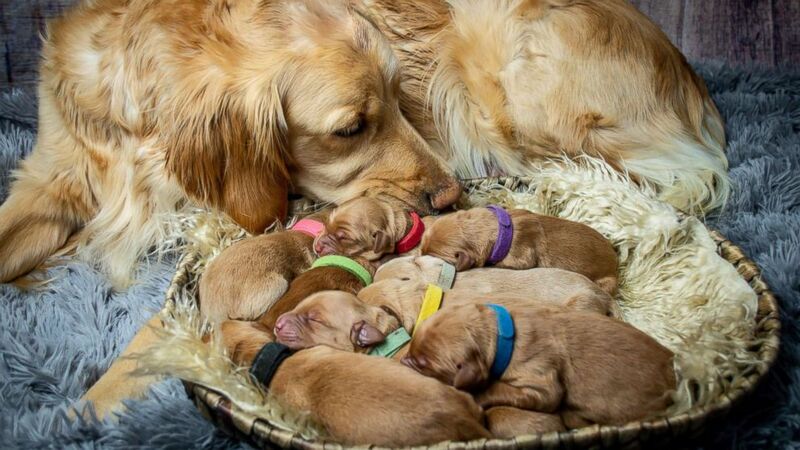 Kodie, a 2-year-old golden retriever, recently welcomed five male and four female puppies. 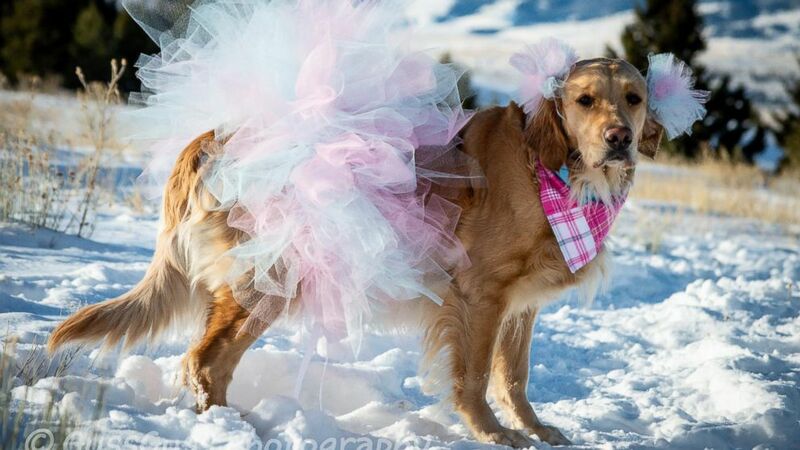 (Courtesy Chelsie Garrels) Kodie, a 2-year-old Golden Retriever, recently welcomed 5 boys and 4 girl puppies in Montana. 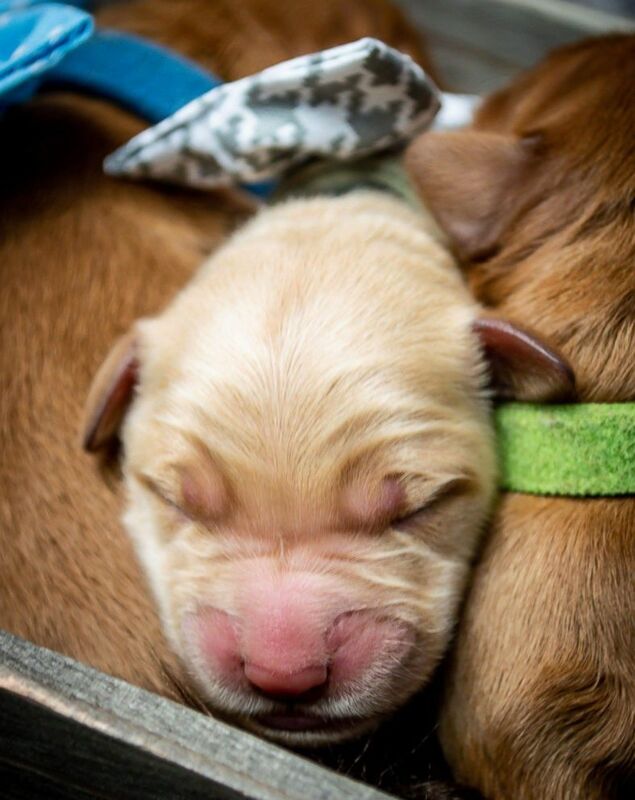 (Courtesy Chelsie Garrels) Kodie, a 2-year-old Golden Retriever, gave birth on Jan. 14, 2019, to 9 adorable mini-Goldens. 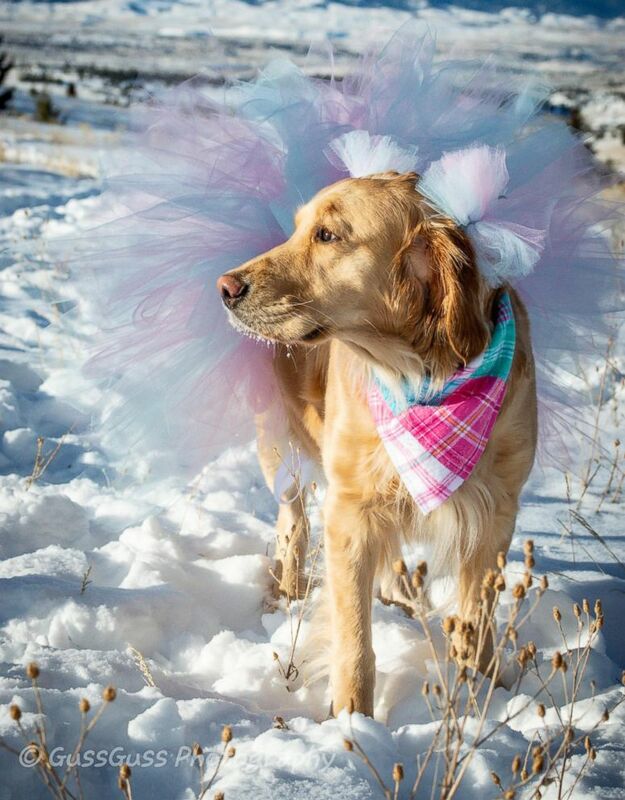 Kodie first gained online attention for her sweet maternity photos, snapped by her owner, Chelsie Garrels. (Courtesy Chelsie Garrels) Kodie, a 2-year-old Golden Retriever, was due to have her puppies on Jan. 9, 2019, but gave birth on Jan. 14, 2019. "Kodie's a great mama, she immediately started cleaning them and nursing right away," Garrels told "Good Morning America." "She was pouting when I was taking photos because I had two of the puppies with me. She started pouting until I gave them back." (Courtesy Chelsie Garrels) Kodie first gained online attention for her sweet maternity photos snapped by her owner, Chelsie Garrels of Montana. 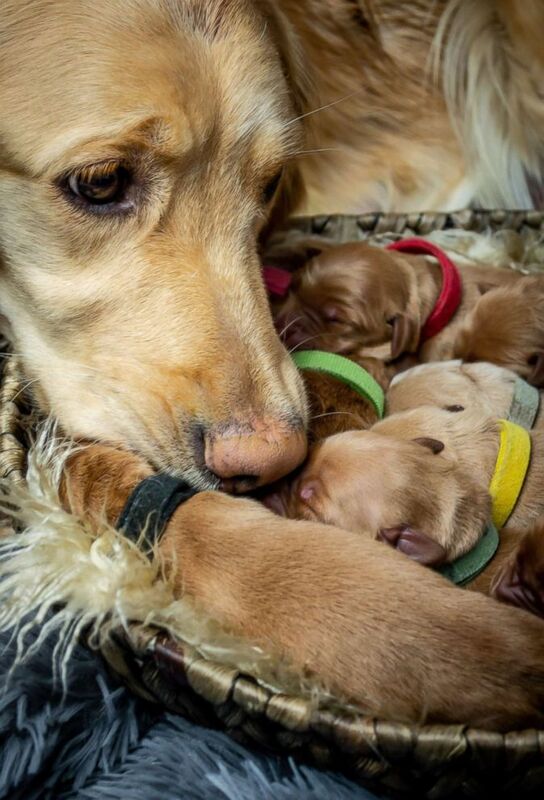 (Courtesy Chelsie Garrels) Kodie, a 2-year-old Golden Retriever, gave birth to puppies on Jan. 14, 2019, in Montana. Kodie's due date was Jan. 9, but she gave birth at 3:30 a.m. on Jan. 14. Garrels said she let her sons Wyatt, 8, and Morgan, 5, play hooky so they could meet the pups. 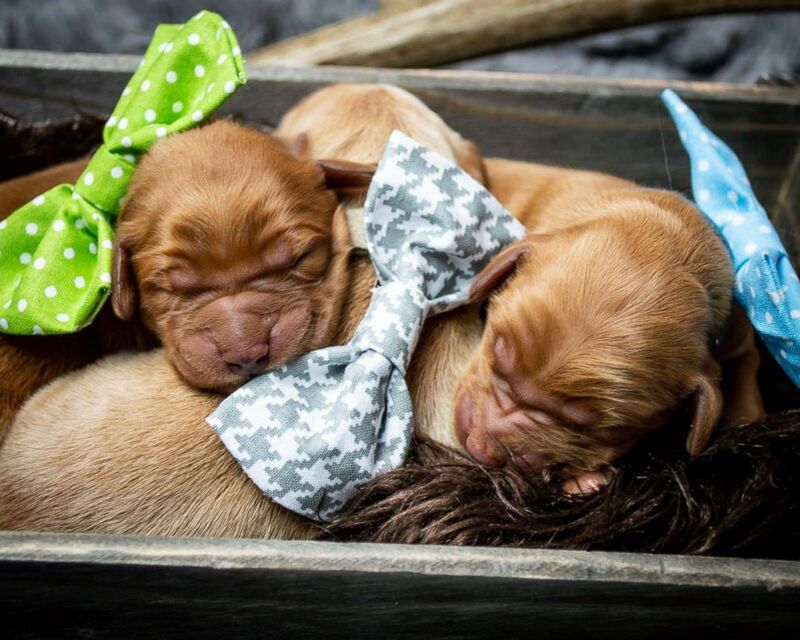 (Courtesy Chelsie Garrels) Chelsie Garrels of Montana, recently snapped images of her Golden Retriever Kodie and her new puppies. Kodie will stay with the breeder and her puppies until they're 8 weeks old. Several of the pups are already spoken for and one of the females will go home with Garrels' cousin, she said.